Went to get the bike out this evening and found the rear flat. Popped it back on the Abba stand and checked the rear only to find a screw or nail in it. So what to do now, repair it, replace with a new T30 on the rear, or throw a pair of my favorite M7RR's on. I wouldn't normally even consider a repair on a motorcycle tyre, but with so few miles on it, it's going to be a real shame to throw it away. It's in the middle, so technically repairable, but not sure I would trust it on a Z rated tyre. It’s already been said on side/edge then it’s kaput even if it’s in the middle you ain’t out of the woods,the tyre needs to come off and see how the screw has gone through,if it’s clean they’ll put a mushroom in it and it will be fine,if it’s gone through at an angle and bust the carcass then it’s scrap,they will tell you within seconds of pulling it off. It’s the latter that causes the problems we see loads with broken carcass’s trying tell a punter it’s scrap is always tricky cuz they think your just trying sell e’m new’un. 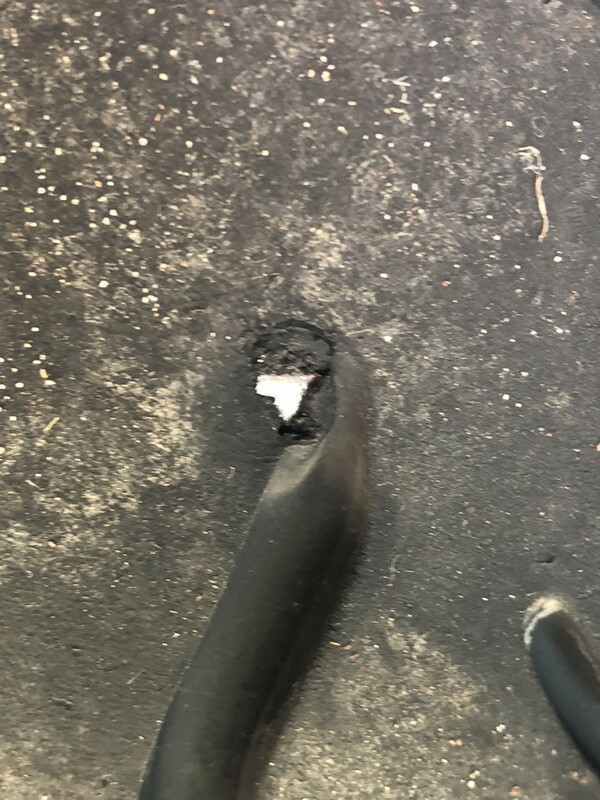 Looks like it went in fairly straight, right on the edge of one of the grooves in the centre of the tyre, so I think I'll take it to the place I have been going to for years, a small independent outfit that I trust and that only deal in motorcycle tyres and fitting. May even get up early and take the back wheel off tomorrow before work..... although not sure if I have a 34mm socket... definitely have a 36mm from the GSX-S, might be a trip to Halfords too!